Pictured (L-R) Ellie Watford, Lauren Parrish, Isabel Hioco, Beste Bektas. 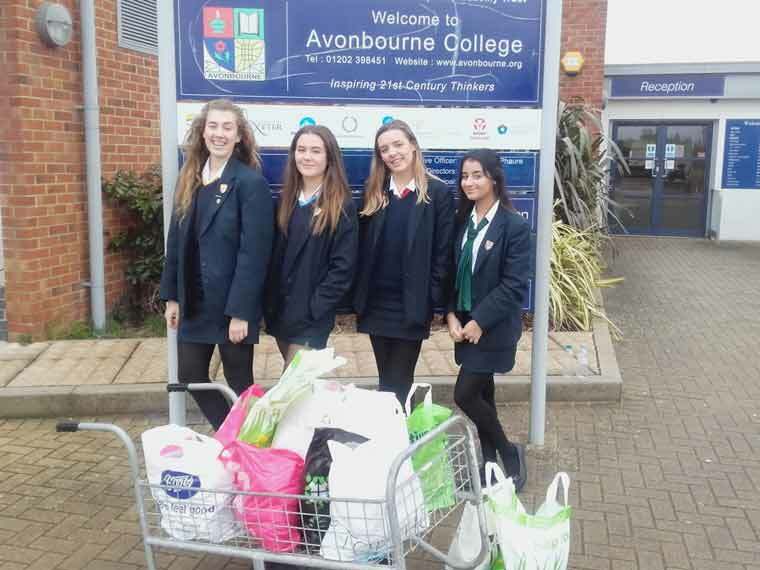 Avonbourne College Head Girls’ Team have pledged to support young people affected by homelessness this academic year through fundraising and awareness. Pupils Lauren Parrish, Ellie Watford, Beste Bektas and Isabel Hioco approached BCHA, the Bournemouth-based organisation that helps homeless and vulnerable people access the right housing, health, learning and work opportunities, because of its work with supporting young people locally. Just before Christmas the girls generated hundreds of donations for BCHA service users; with food and toiletries, as well as raising £400 so far during this academic year, with more events planned. Paul Tucker, Campaigns Manager at BCHA, said, “The girls approached us because they wanted to do something to help the young homeless people we support. They wanted to not only raise money and generate donations but also increase awareness at school about the plight of young homeless people in Bournemouth, especially as many are of a similar age. We are inspired by the school’s compassion and drive to help combat youth homelessness through BCHA, in such a positive and structured manner.